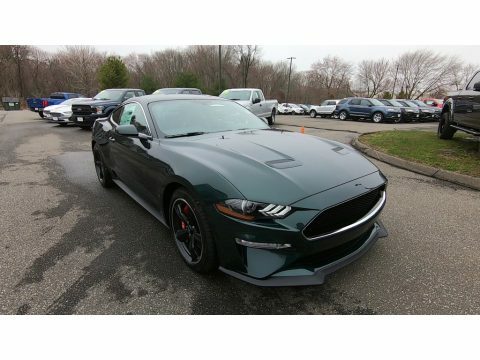 Dark Highland Green Metallic 2019 Ford Mustang Bullitt 2D Coupe RWD 6-Speed Manual 5.0L V8 Ti-VCT Come to Crest Ford of Niantic to experience a hassle free, customer friendly sales experience! Meet one of our factory trained sales and leasing consultants, and choose the PERFECT vehicle for YOU! Call us at 1-800-NEW-FORD and schedule the test drive of YOUR next new or pre-owned vehicle! "Come see why we are nicer in Niantic!"